going controversial restructuring of tertiary institutions in the state. The two institutions affected by the gale of sack are Osun State College of Education, Ila and Osun State College of Education, Ilesa. Credible sources told Sunday Vanguard that the sack letters were brought from the state Ministry of Education on Friday for distribution to the affected staffers, but the leaders of the two unions directed their members not to collect the letters. 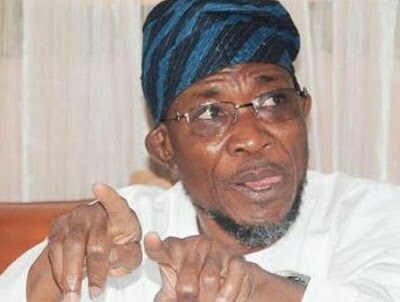 The state chairman and secretary of Council of Academic Staff Unions Osun State Owned Tertiary Institutions (CASUOSTI), Comrade Lasisi A. Jimoh and Comrade Olusegun Lana, respectively, in a press statement, said “letters of termination of appointment were issued to several members of staff in Osun State owned tertiary institutions today (Friday)”. No government official was willing to comment on the development as several calls and text messages put across to them were not replied. In a related development, the National Executive Committee, NEC, of the Senior Staff Association of Nigeria Universities, SSANU, has fixed an emergency meeting for Tuesday to discuss the appeal made by the Minister of Education, Adamu Adamu, to the union to suspend its two months old strike. The strike started on December 24, 2015. SSANU embarked on strike over the alleged disengagement of about 2,000 universities staff School workers, following a government circular to Vice Chancellors of universities to remove the names of the workers from their pay roll. Sunday Vanguard reliably gathered that the Minister held a meeting with the SSANU leadership at an undisclosed hotel in Abuja last Sunday on how to resolve the problem. A source privy to the meeting told Sunday Vanguard that Adamu indicated, at the meeting, his willingness to ensure that the strike was called off, but SSANU insisted that the termination letters to her members should be withdrawn before it could suspend the strike. The source further said that after listening to the minister, the leadership of SSANU decided to hold an emergency NEC meeting on Tuesday to consider the appeal made by the minister and then take a stand on it. Confirming this, the Public Relations Officer, PRO, of SSANU, Comrade Salaam Abdulssobur, said the meeting was an informal one and that the the union had scheduled an emergency NEC meeting.